The main interceptor of the Resistance, the RZ-2 A-wing is the natural evolution of its predecessor used by the Rebel Alliance. With several field-tested refinements integrated into its design, the new generation of A-wing fighters boasts incredible maneuverability to go along with blazingly fast speed, which makes mastering this craft a challenge worthy of the greatest aces. 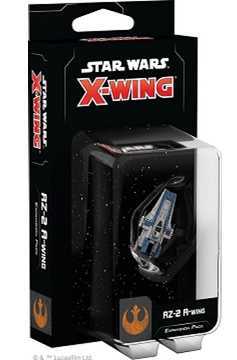 The RZ-2 A-Wing Expansion Pack gives you everything you need to add one of these nimble fighters to your X-Wing Second Edition squadron. 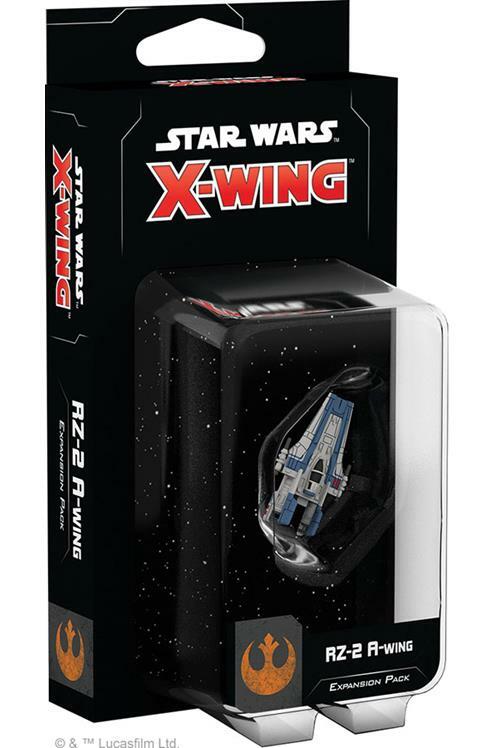 With six ship cards, including four unique pilots and five upgrade cards, plus the maneuver dial and tokens included in this expansion pack, the RZ-2 A-Wing Expansion Pack gives you everything you need to stand toe-to-toe with the First Orders best!.